Part 2 of India History Quiz - General Knowledge Questions (41 to 80) on Indian History. 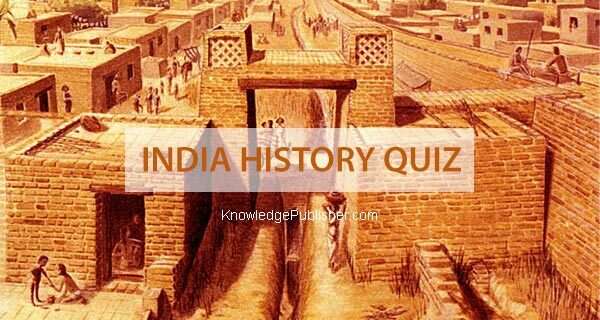 Take the Quiz and improve your overall General knowledge on Indian History. 41. When was the East India Company established? 42. When did India get its membership of the U.N.O.? 43. Who laid the foundation for the establishment of British rule in India? 44. Which battle sealed the fate of the French Power in India? 45. Who was the first Indian to enter the Indian Civil Service? 46. Jawaharlal Nehru wrote 'The Discovery of India' when he was in prison. What was the name of the prison? 47. What was the name of the Subhas Chandra Bose's brother who was also a freedom fighter? 48. Who was the Muslim king who invaded India sixteen times? 49. In which year did Timur the lame invade India? 50. Which I.C.S. officer wrote 'The Economic History of India'? 51. Who divided Bengal for the purpose of administration and when? 52. What was Emperor Aurangzeb's full name? 53. Who established the city was Ahmedabad? 54. Who was the most famous ruler of the Khilji dynasty? 55. Who was Rani Padmini? 56. What was Emperor Babar's real name? 57. What is the meaning of the word, 'Babar'? 58. Where is Vijayasthambha (Victory Pillar) located? 59. What was the name of the kingdom that Timur the lame ruled over? 60. Who was the Chola king who brought the River Ganga from the North to the South? 61. What are the names of the two places (now in Pakistan) that show the remains of the Indus Valley Civilization? 62. When was the second battle of Panipat fought? 63. Which Central Minister resigned in protest against the introduction of a bill in the Parliament on the protection of rights to Muslim women? 64. From where did Mahatma Gandhi Launch his salt Satyagraha? 65. Which Indian social reformer fought for the abolition of Sati Pratha? 66. Who was the first British Governor-General of free India? 67. Who founded the college that later became the Muslim University at Aligarh? 68. Which Indian Prime Minister was known as the Man of Peace? 69. Who fought the last Anglo-Mysore war against the British? 70. Who was the Muslim king infatuated with the beauty of Rani Padmini? 71. Who founded the city of Calcutta (now Kolkata)? 72. Who said, "I have lost my kingdom for a handful of maize" after the victory of Marwar? 73. In the battle of Plassey, who was the head of the English armed forces? 74. Who took away the Kohinoor diamond from India? 75. What innovation in administration did the Cholas introduce? 76. Why is the Gupta era Known as the Golden Age? 77. Who was the first Muslim to invade India? 78. Which Kushan invader established the Saki era in India? 79. What was the old name of Agra? 80. In which year did Mahmud of Ghazni loot the Somnath temple?